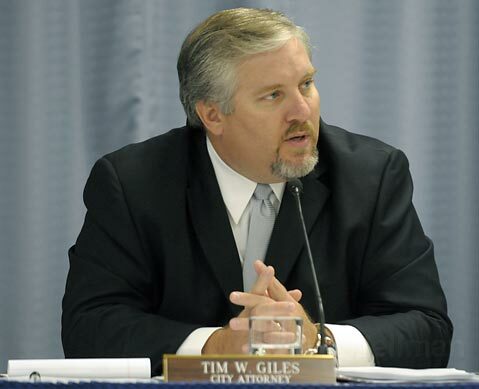 <strong>LIGHT READING:</strong> Tasked with sifting through the 75-page decision handed down by the Circuit Court's three-judge panel, City Attorney Tim Giles is expected to file a petition for another hearing on Friday. For more than 20 years, Santa Barbara County’s mobile home park rent-control ordinance quietly protected residents of one of the last affordable housing options in the area. But since the City of Goleta was incorporated in 2002, the owners of Rancho Mobile Home Park-Daniel and Susan Guggenheim-have made it clear that they have other ideas about what is fair. The two-year statute of limitations protecting the ordinance disappeared when Goleta adopted the county’s ordinance for its own use, and the Guggenheims took advantage of the opportunity to challenge a regulation they said was taking too big a bite out of their potential annual gross income. Embroiled in legal action for the past seven years, the couple tried a number of measures to get around rent control, including an unsuccessful attempt to convert mobile home pads on their property into sellable condominium lots. A recent decision by a federal court could leave the City of Goleta owing millions to the beleaguered park owners, but not before the city fights back. “This is a long way from being resolved, but the important thing to take away from it is that Goleta’s rent-control ordinance is constitutional,” said City Attorney Tim Giles, positing that any judge asked to assess an amount owed to the Guggenheims by the city would take into account the fact the park had been rent-controlled for nearly 20 years when they purchased it. Judge Andrew Kleinfeld-the lone dissenter on the three judge panel that made the ruling-noted that the Guggenheims bought the park at a much lower price than they would have if it had not been rent-controlled, which he maintained stripped them of a right to compensation. The city announced on Tuesday that it will file a petition to have the fate of its mobile home park rent-control ordinance-some facets of which were found by the Ninth Circuit U.S. Court of Appeals panel to be unconstitutional -sent back to the Circuit Court to be decided by its full complement of 11 judges. The 2-1 decision, handed down early last week, left the task of figuring out the implications of the decision to the Federal District Court that had ruled that, according to the Fifth Amendment of the U.S. Constitution, the ordinance comprises a regulatory taking of property. As it stands, the Circuit Court’s current ruling means that although the ordinance itself is constitutional, the Guggenheims-who have owned Rancho since 1997-are entitled to compensation for land value lost due to the ordinance’s stipulation that rent increases be limited to 5 percent annually. “The Ninth Circuit covers all of California, so the impacts will be far reaching,” said Richard Close, an attorney who represents mobile home park owners around the state. For their part, the three panel judges, Alfred Goodwin, Kleinfeld, and Jay Bybee-appointed by Presidents Richard Nixon, George H.W. Bush, and George W. Bush respectively-are reputed to be relatively conservative judges on the famously liberal Ninth Circuit. How much money the Guggenheims could be entitled to is as yet unclear, although Close indicated that it could amount to tens of millions. “I assume the city would be setting aside the funds now to pay for this. That would be the prudent thing to do,” he said. While the city has a liability reserve, Giles said that a finding in the millions would seriously hamper the city’s ability to provide core functions to its citizens. “We consider this to be a very serious challenge to rent stabilization,” said Bruce Stanton, an attorney for the Golden State Manufactured-Home Owners League, adding that his client intends to stand behind Goleta as it appeals the panel’s decision. Giles said that if the Ninth Circuit rejects their petition-which will be submitted on October 9-the city will file a petition with the U.S. Supreme Court.